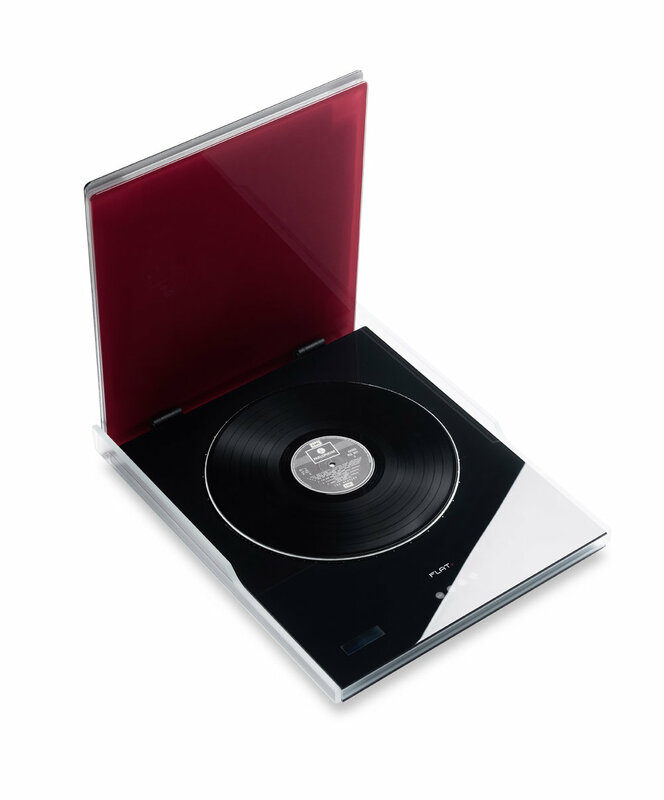 The Audio Fidelity Improvement FLAT is the latest generation of vinyl disc press. 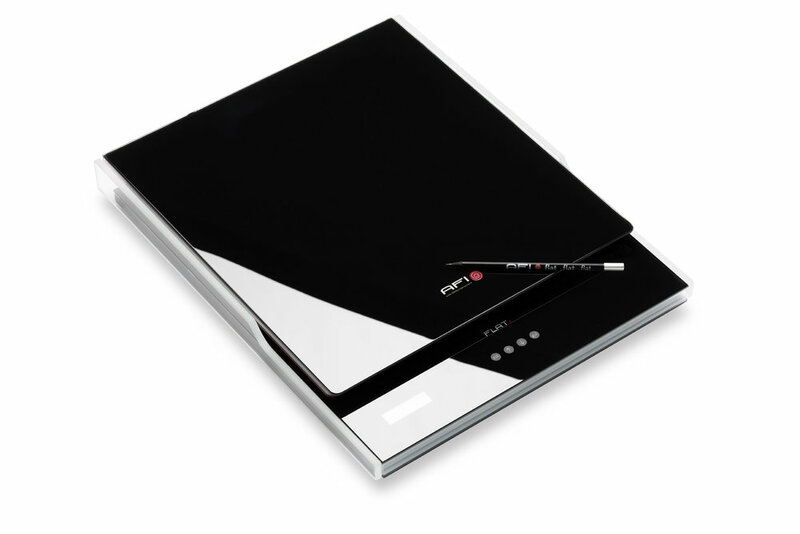 Using new "Heat Foil Technology" it is equally suitable for Vinyl LPs, Maxis and Singles. 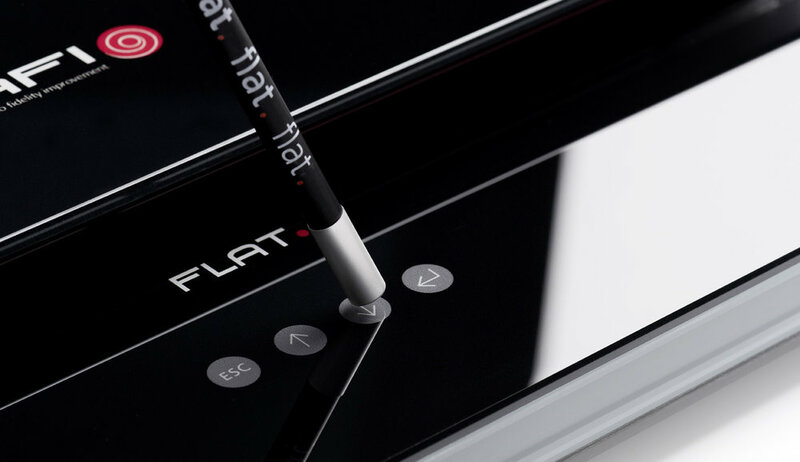 The use of special FLAT-Mats in conjunction with the high-quality electronic control ensures highly uniform heat distribution and thus excellent record flattening results. Program settings allow very simple operation. With the STANDARD program, even the most warped of vinyl LPs are reliably flattened. Advanced users can set multiple process parameters flexibly via the EXPERT Menu. The unit works with high precision and has a number of protective mechanisms to prevent damage. Temperature distribution within the surface and between the top and bottom is extremely homogeneous. Thus the deviation from the desired value is less than 0.25 degrees. Another feature of the flat is with the RELAXATION program a "tempering" mode is possible. The vinyl record is very slowly and smoothly heated and then cooled in a controlled process. This thermal relaxation leads in most cases to a clearly audible sound improvement. The AFI FLAT design and quality of workmanship from special hardened glass underline the elegant and timeless style. Say goodbye to warped records.